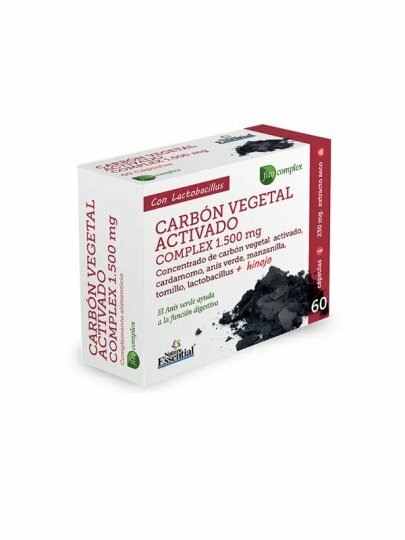 Active carbon is the strongest natural absorbent that binds large amounts of toxins and impurities. It is black and is obtained with a special activation technique. We recommend one (1) capsule twice (2) per day, best before meals. Drink the capsule with enough liquid. 100 mg of molten cellulose. dry extract: 60 mg (equivalent to 600 mg of plant powder). Dry extract: 60 mg (equivalent to 300 mg of vegetable powder). Dry extract: 50 mg (equivalent to 200 mg of plant powder). Complex: 50 mg, sweetener (sucrose), filler (cellulose), lubricant (stearic acid), powder (silicon dioxide), bonding agent, glue. Dry extract: 10 mg (equivilent 50 mg), antifoam (magnesium stearate and silica) and gelatin (gelatine) coating, contains lactose.